have you tried it & didn't like it? have you tried it & are still doing it? Counseling is a "must do" part of dealing with mental health issues, trauma or crises issues, abuse issues, addictions recovery & recovery from eating disorders, natural disasters, criminal assault... well I could go on forever. Counseling is a "must do" if you're living and breathing on our dear Mother Earth today. Just educate yourself enough to know what to look for in your journey to find "the perfect therapist/counselor" for you! More than 1 in 10 adults in the US use services in the mental health system. Psychotherapy & medications are among your treatment options. After earning their medical degree (M.D.) or osteopathic degree (D.O. ), they must complete 4 years of residency training at a teaching hospital. The 1st year of residency is an internship to sharpen skills in general medicine & neurology. The last 3 years focus on psychiatry. A psychiatrist can be certified by the American Board of Psychiatry & Neurology after passing oral & written exams. That certification process can occur 1 to 2 years after completion of training. Those who are then board certified are referred to as diplomats of the American Board of Psychiatry & Neurology. Some psychiatrists might have only a board eligible designation. That means they've completed the required psychiatry training at an accredited program but haven't yet completed the certification process. Doctors don't have to be board certified in psychiatry to use the title of psychiatrist. However, certification is evidence of advanced training & experience. Some limit their practice to one area, such as mood disorders or schizophrenia. Because they're medical doctors, psychiatrists can prescribe medications as part of mental health treatment. They can also order laboratory tests, X-rays or other studies as part of your treatment. They're trained to provide psychotherapy of various kinds to individuals, couples, families & groups. They're trained to provide evaluation, assessment, testing & treatment of mental disorders. Education, training & state licensing criteria can vary widely. In some states, psychologists must hold a doctoral degree. That degree may be a doctor of philosophy (Ph.D.) in psychology, a doctor of education (Ed.D.) in psychology or a doctor of psychology (Psy.D.). Unlike psychiatrists, psychologists aren't medical doctors. Some states require that psychologists have a period of supervised training after earning a doctorate, such as a supervised clinical internship in a hospital or other facility. They may also have to complete a year or more of postdoctoral supervised practice before practicing independently. In some states, a master's degree (M.A. or M.S.) is sufficient to allow practice as a psychologist. But they may only be allowed to provide therapy under the supervision of a physician or a psychologist w/ a doctorate. Traditionally, psychologists have been unable to prescribe medications because they're not medical doctors. However, in some cases, psychologists are now able to write prescriptions for certain medications. There are different types of psychologists. Social workers help individuals, families & communities overcome a variety of social & health problems. There are many types of social workers & the term can be broadly used. Their training & education can vary widely. Most, but not all, have a master's degree in social work. Not all social workers can be licensed to provide mental health services. They must be clinical social workers w/advanced training in psychotherapy. They must have a master of social work (M.S.W.) degree & meet certain training requirements as set by their state, including experience working under supervision to provide mental health & psychotherapy services. But training alone isn't enough. In order to actually offer psychotherapy, clinical social workers must be licensed by their state, as w/psychiatrists, psychologists & nurses. Once licensed, they're designated as a licensed clinical social worker (L.C.S.W.) or licensed independent clinical social worker (L.I.C.S.W). Licensing requirements vary by state. Clinical social workers may provide therapy in private practice in psychiatric facilities, hospitals, community agencies or other places that offer mental health services. Others may work as case managers & coordinate psychiatric, medical & other services on your behalf. They often work w/psychiatrists, psychologists, nurses & vocational therapists, job counselors, to help manage your overall care. Social workers can't prescribe medications or order medical tests as part of your treatment. A psychiatric nurse is a licensed registered nurse (R.N.) who has additional training in mental health. They work w/individuals, families or communities to evaluate mental health needs & assist other mental health professionals in treatment & referral. A psychiatric nurse may have an associate arts, bachelor's, master's or doctoral degree. Much of a psychiatric nurse's specialty training takes place in a hospital. Their level of training & experience determines what services & care they can offer. Advanced practice registered nurses (A.P.R.Ns.) have a master's degree in psychiatric-mental health nursing. There are 2 types of A.P.R.Ns. : clinical nurse specialists & nurse practitioners. In general, they can diagnose & treat mental illnesses & in many states they're authorized to prescribe medications. They also may be qualified to practice independently, without the supervision of a doctor. Finding a therapist who best suits your needs can take some legwork. If it seems like more time & energy than you can muster, especially if you're facing depression or another serious mental illness, consider enlisting help from your primary care doctor, family or friends. Don't hesitate to ask a lot of questions of a potential therapist, either during an initial phone call or at your first visit. Get a referral or recommendation from others, such as a trusted doctor, friends, family, clergy, your insurance provider, a professional association, your company's employee assistance program, community hot lines, your school district or local social services agencies. Consider whether you have preferences regarding gender, age, religion or other personal issues. Ask potential therapists about their education, training, licensure & years in practice. Licensing requirements can vary widely by state. Find out office hours, fees & accepted insurance providers. Double-check credentials by contacting your states licensing boards. Discuss on the phone before your first visit, if possible their treatment approach & philosophy to make sure it agrees with your style & needs. Find out if they specialize. Therapists often specialize in certain disorders or age groups. Some, i.e., work only with adolescents. Others specialize in eating disorders or divorce issues. If you don't feel comfortable after the first visit, or even several visits, talk about your concerns at your next session & consider changing therapists. Yes this is rather exaggerated, however it demonstrates the idea that as professionals in the field of therapy, we often seek complex theories, techniques & strategies to more effectively treat our consumers. A large amount of our precious time is spent seeking new theories & techniques to treat clients; evidence for this statement is shown by the thousands of theories & techniques that have been created to treat clients seeking therapy. The fact that theories are being created & the field is growing is absolutely magnificent; however we may be searching for something that's always been right under our nose. Clinicians often enjoy analyzing & making things more intricate that they actually are; when in reality what works is rather simple. This basic & uncomplicated ingredient for successful therapy is what will be explored in this article. This ingredient is termed the therapeutic relationship. Some readers may agree & some may disagree, however the challenge is to be open minded & remember the consequences of “contempt prior to investigation”. Any successful therapy is grounded in a continuous strong, genuine therapeutic relationship or more simply put by Rogers, the “Helping Relationship”. Without being skilled in this relationship, no techniques are likely to be effective. You're free to learn, study, research & labor over CBT, DBT, EMDR, RET & ECT as well as attending infinite trainings on these & many other techniques, although without mastering the art & science of building a therapeutic relationship with your client, therapy will not be effective. You can even choose to spend thousands of dollars on a PhD, PsyD, Ed.D & other advanced degrees, which aren't being put down, however if you deny the vital importance of the helping relationship you'll again be unsuccessful. This author will attempt to articulate what the therapeutic relationship involves; questions clinicians can ask themselves concerning the therapeutic relationship, as well as some empirical literature that supports the importance of the therapeutic relationship. Please note that therapeutic relationship, therapeutic alliance & helping relationship will be used interchangeably throughout this article. The therapeutic relationship has several characteristics; however the most vital will be presented in this article. The characteristics may appear to be simple & basic knowledge, although the constant practice & integration of these characteristic need to be the focus of every client that enters therapy. The therapeutic relationship forms the foundation for treatment as well as large part of successful outcome. Without the helping relationship being the number one priority in the treatment process, clinicians are doing a great disservice to clients as well as to the field of therapy as a whole. The following discussion will be based on the incredible work of Carl Rogers concerning the helping relationship. There's no other psychologist to turn to when discussing this subject, than Dr. Rogers himself. His extensive work gave us a foundation for successful therapy, no matter what theory or theories a clinician practices. Without Dr. Rogers outstanding work, successful therapy wouldn't be possible. There are 3 characteristics that will be presented that Rogers states are essential & sufficient for therapeutic change as well as being vital aspects of the therapeutic relationship (1957). In addition to these 3 characteristics, this author has added 2 final characteristic that appear to be effective in a helping relationship. 1. Therapist’s genuineness within the helping relationship. Rogers discussed the vital importance of the clinician to “freely & deeply” be himself. The clinician needs to be a “real” human being. Not an all knowing, all powerful, rigid & controlling figure. A real human being with real thoughts, real feelings & real problems (1957). All facades should be left out of the therapeutic environment. The clinician must be aware & have insight into him or herself. It's important to seek out help from colleagues & appropriate supervision to develop this awareness & insight. This specific characteristic fosters trust in the helping relationship. One of the easiest ways to develop conflict in the relationship is to have a “better than” attitude when working with a particular client. 2. Unconditional positive regard. This aspect of the relationship involves experiencing a warm acceptance of each aspect of the clients experience as being a part of the client. There are no conditions put on accepting the client as who they are. The clinician needs to care for the client as who they are as a unique individual. One thing often seen in therapy is the treatment of the diagnosis or a specific problem. Clinicians need to treat the individual not a diagnostic label. It's imperative to accept the client for who they are & where they are at in their life. Remember diagnoses aren't real entities, however individual human beings are. 3. Empathy. This is a basic therapeutic aspect that has been taught to clinicians over & over again, however it's vital to be able to practice & understand this concept. An accurate empathetic understanding of the client’s awareness of his own experience is crucial to the helping relationship. It's essential to have the ability to enter the clients “private world” & understand their thoughts & feelings without judging these (Rogers, 1957). In therapy clinicians must develop goals that the client would like to work on rather than dictate or impose goals on the client. When clinicians have their own agenda & don't cooperate with the client, this can cause resistance & a separation in the helping relationship (Roes, 2002). The fact is that a client that is forced or mandated to work on something he has no interest in changing, may be compliant for the present time; however these changes will not be internalized. Just think of yourself in your personal life. If you're forced or coerced to work on something you have no interest in, how much passion or energy will you put into it & how much respect will you have for the person doing the coercing. You may complete the goal; however you'll not remember or internalize much involved in the process. 5. Integrate humor in the relationship. In this authors own clinical experience throughout the years, one thing that's helped to establish a strong therapeutic relationship with clients is the integration of humor in the therapy process. It appears to teach clients to laugh at themselves without taking life & themselves too serious. It also allows them to see the therapist as a down to earth human being with a sense of humor. Humor is an excellent coping skill & is extremely healthy to the mind, body & spirit. Try laughing with your clients. It'll have a profound effect on the relationship as well as in your own personal life. Before delving into the empirical literature concerning this topic, it's important to present some questions that Rogers recommends (1961) asking yourself as a clinician concerning the development of a helping relationship. These questions should be explored often & reflected upon as a normal routine in your clinical practice. They'll help the clinician grow & continue to work at developing the expertise needed to create a strong therapeutic relationship & in turn the successful practice of therapy. 2. Can I be real? This involves being aware of thoughts & feelings & being honest with yourself concerning these thoughts & feelings. Can I be who I am? Clinicians must accept themselves before they can be real & accepted by clients. 3. Can I let myself experience positive attitudes toward my client – (i.e., warmth, caring, respect) without fearing these? Often times clinicians distance themselves & write it off as a “professional” attitude; however this creates an impersonal relationship. Can I remember that I'm treating a human being, just like myself? 5. Can I be separate from the client & not foster a dependent relationship? 7. Can I receive this client as he is? Can I accept him or her completely & communicate this acceptance? There are obviously too many empirical studies in this area to discuss in this or any brief article, however this author would like to present a summary of the studies throughout the years & what has been concluded. Horvath & Symonds (1991) conducted a Meta analysis of 24 studies which maintained high design standards, experienced therapists & clinically valid settings. They found an effect size of .26 & concluded that the working alliance was a relatively robust variable linking therapy process to outcomes. The relationship & outcomes didn't appear to be a function of type of therapy practiced or length of treatment. 30% of variance was predicted by the therapeutic relationship/common factors. One more important addition to these studies is a review of over 2000 process-outcomes studies conducted by Orlinsky, Grave & Parks (1994), which identified several therapist variables & behaviors that consistently demonstrated to have a positive impact on treatment outcome. These variables included therapist credibility, skill, empathic understanding, affirmation of the client, as well as the ability to engage the client & focus on the client’s issues & emotions. This suggestion is a topic for a whole other article, however what this suggests is that the therapeutic relationship may create or recreate the ability for clients to bond or develop attachments in future relationships. To this author, this is profound & thought provoking. Much more discussion & research is needed in this area, however briefly mentioning it sheds some light on another important reason that the therapeutic relationship is vital to therapy. Throughout this article the therapeutic relationship has been discussed in detail, questions to explore as a clinician have been articulated & empirical support for the importance of the therapeutic relationship have been summarized. You may question the validity of this article or research, however please take an honest look at this area of the therapy process & begin to practice & develop strong therapeutic relationships. You'll see the difference in the therapy process as well as client outcome. This author experiences the gift of the therapeutic relationship each & every day I work with clients. In fact, a client recently told me that I was “the first therapist he has seen since 9-11 that he trusted & acted like a real person. He continued on to say, “that’s why I have the hope that I can get better & actually trust another human being.” That’s quite a reward of the therapeutic relationship & process. What a gift! Ask yourself, how you would like to be treated if you were a client? Always remember we're all part of the human race & each human being is unique & important, thus they should be treated that way in therapy. Our purpose as clinicians is to help other human beings enjoy this journey of life & if this field isn’t the most important field on earth I don’t know what is. We help determine & create the future of human beings. Despite some perceptions, electroconvulsive therapy is a safe & effective treatment for some types of mental disorders. Here's a closer look at how it works. Electroconvulsive therapy: Effective for borderline personality disorder? acting out. Expressing emotional conflict or stress thru behavior & actions rather than reflections or feelings. addiction. Physical or emotional dependence, or both, on a substance, such as alcohol or drugs, usually resulting in the need for increasing amounts of the substance to achieve the same desired effect or continued use despite adverse consequences. adjustment disorder. A psychological response to an identifiable stressor that results in the development of emotional symptoms, such as anxiety, depression or certain conducts that are greater than would be expected by the stressor or that cause significant impairment in functioning. adrenaline. A naturally occurring hormone that increases heart rate & blood pressure & affects other body functions. Also called epinephrine. adverse reaction. Negative or unwanted effects caused by a medication. Also called side effects. affect (AF-ekt). Current, observable state of feeling or emotion, such as sadness, anger or elation. affective disorder. A type of mental disorder that primarily affects mood & interferes with the ability to function, such as major depressive disorder & bipolar disorder. agnosia (ag-NO-zhuh). Loss of the ability to interpret stimuli. Usually classified according to the sense or senses affected, such as the inability to identify certain sounds or to recognize familiar objects by sight. agoraphobia. A type of anxiety disorder involving fear of public places or situations in which it seems escape might be difficult or embarrassing, such as a mall or crowded room, or in which help might not be available in the event of a panic attack or related symptoms. akathisia (ak-uh-THIH-zhuh). A condition of excessive restlessness that causes one to move about constantly, fidget or pace. Can be a side effect of certain medications. anhedonia (an-he-DO-ne-uh). Reduced or complete inability to feel pleasure from activities that usually produce happiness. anticonvulsants. Medications used to prevent seizures; sometimes prescribed as mood stabilizers to treat depression or other mood disorders, or for other conditions, such as pain. antidepressants. 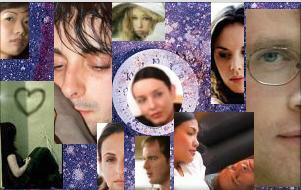 Medications that improve or relieve symptoms of depression by affecting brain chemistry. from the article: " Relationships offer a source of support and comfort. But they can also be a frequent source of stress and conflict. When health issues, behavioral problems or mental illnesses disrupt relationships between you and your spouse, partner, children or parents, marriage and family therapy might help."